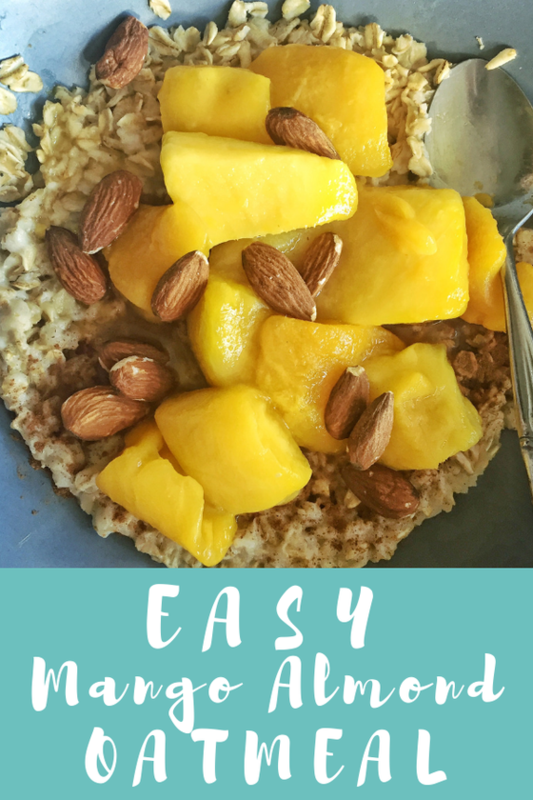 Prepare oatmeal per package directions. 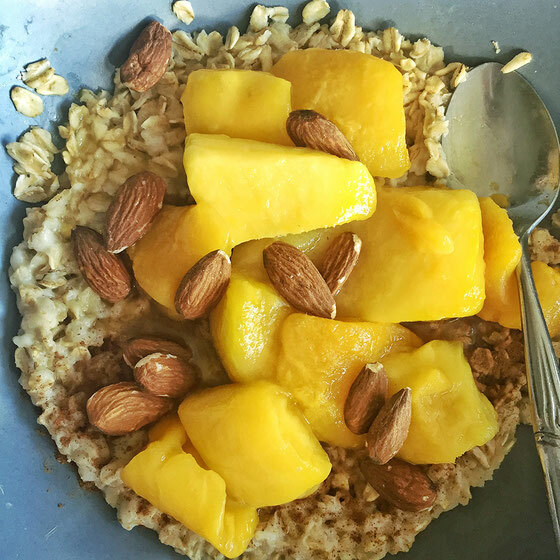 Top with mango slices, almonds, cinnamon, and nutmeg. Enjoy!